MainOpEdsA July 4th message for Israel: No taxation without annexation! A July 4th message for Israel: No taxation without annexation! Happy Independence Day, America! Now Israel should learn from Benjamin Franklin, Patrick Henry and the 1766 Boston Tea Partiers. Ariel Natan Pasko, an independent analyst and consultant, has a Master's Degree in International Relations & Policy Analysis. His articles appear regularly on numerous news/views and think-tank websites and in newspapers. The new Israeli ''grocery bag tax'' law that went into effect in January, is flawed...it doesn't cover Judea and Samaria. And, Jews in Judea are up in arms to keep it that way. Unless and until, the State of Israel decides to stop treating Judeans as second class colonists, under a military regime - the Ministry of Defense - but as equal citizens, and annexes the region, Judeans refuse to pay the thing. In 1750, Jonathan Mayhew, a Boston pastor, used the phrase, "no taxation without representation" in a sermon. And, in 1766, before the Boston Tea Party, Benjamin Franklin told the British House of Commons that, "an internal tax is forced from the people without their consent if not laid by their own representatives. The Stamp Act...is intended to extort our money from us or ruin us by the consequence of refusing to pay it." No law from the Israeli parliament, no declaration by the defense establishment, no decision of some petty clerk will suffice. Judeans demand ''No Taxation Without Annexation''! According to reports, corporate giants in the region have been collaborating with the tax authorities, while denying Judeans their basic rights. The Rami Levi, Shufersol, and Victory grocery chains have been charging ten agorot (about 3 cents ) for each plastic grocery bag. They're cooperating with this iniquitous regulation, extorting tax monies from the residents of Judea and Samaria, and this without even having the decency to give out the reusable material bags, as mandated by the new law. This is just another example of how the rights of the Jews in Judea and Samaria have been trampled upon; another instance in which they have been treated as second class citizens. No laws or declarations by some Knesset far away in Jerusalem, no collaborating cowardice from big business, no passive acceptance by the bullied masses, will calm the passions of true Judeans, who demand ''No Taxation Without Annexation''! Fighting back, former Samaria Regional Council Head Gershon Mesika recently brought a class action lawsuit against these corporate collaborators, and in a settlement, Victory agreed to provide 40,000 free plastic bags to customers, plus compensation to Mesika and his lawyer. We await the conclusion of the negotiations, to see the consequences to Rami Levi and Shufersol for collaboration with the tax authorities. In a related matter, the Women in Green’s Ribonut (Sovereignty) campaign has begun to catch on after several years of conferences and much hard work promoting the idea of Israeli annexation of Judea and Samaria. Donald Trump’s recent attempt to revive the so-called Peace Process, has given the idea new urgency among many Israeli politicians. During the recent celebration of the 50th anniversary of Israel’s liberating Jerusalem, Judea and Samaria, Ribonut hung posters all around, saying, ‘’Continuing Zionism with Building and Sovereignty’’ which rhymes in Hebrew, ‘’Mamshichim B’Tzionut, B’biniya V’ribonut’’. A recent poll found that a majority of Israeli Jews (55.2%) said Israel should have annexed all of the territories captured in the 1967 Six Day War, immediately after the war. 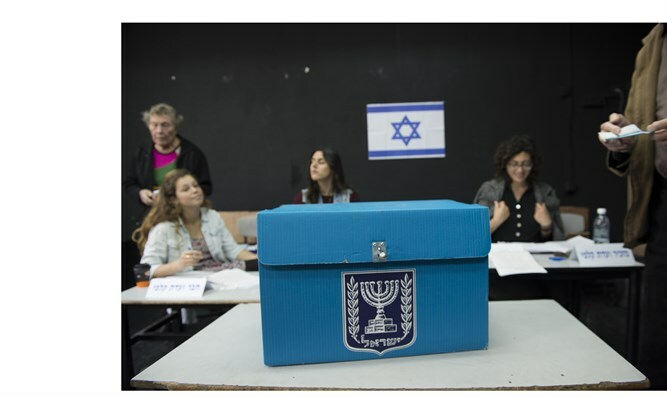 Even after fifty years of unceasing leftist propaganda about Israeli ‘’occupation’’ and demonizing ‘’settlers,’’ those Israelis who chose to live there; 62.2% of Israeli Jews say there is no occupation of Judea and Samaria, and Israelis are still fairly evenly divided on whether Israel should today annex the area, with 44.4% endorsing such a move, and 45% opposing it. Similarly, historians estimate that about 40-45% of the white population in the Thirteen Colonies supported the Patriots' cause, during the American Revolution, while the remainder were either Loyalist – to Britain - or kept quiet. And, in another recent poll of Israeli Jews, when asked whether they would support giving away parts of the Old City of Jerusalem - which Israel annexed back in 1980 - to the Palestinians, in return for a final status peace agreement, if they knew that without a partition of the Old City no agreement would be possible, 87% said no, including 47% of self-described leftists. Patrick Henry? Where will the Judean patriots come from? Who will rise up, and declare, ''Give me annexation or give me independence''? Will it be the intrepid WIG founders and Judeans, Nadia Matar and Yehudit Katzover, similar to the American Whigs of the revolution, or someone else? We shall see.